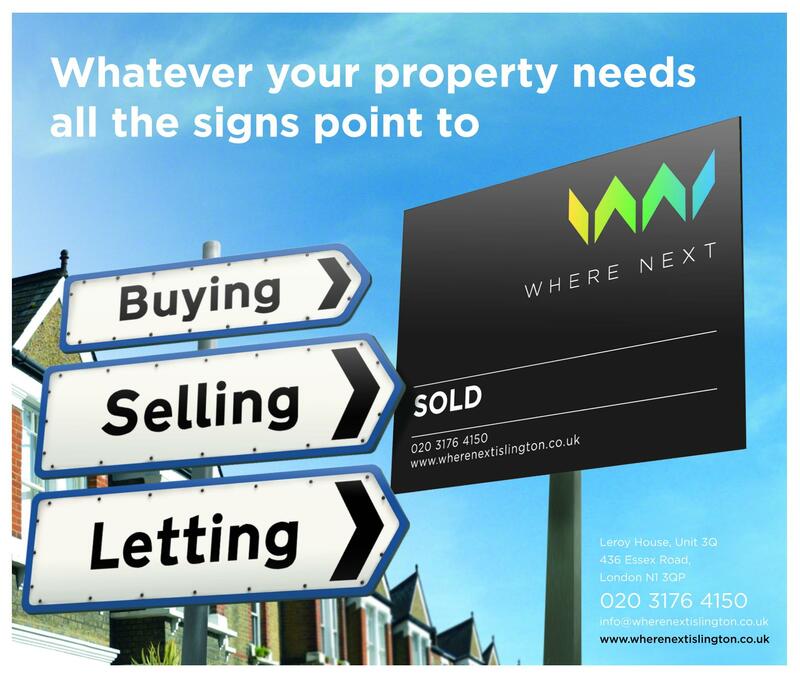 Where Next is an innovative, professional, and independent estate agency specialising in residential lettings, sales, mortgages, architecture and surveying in and around the Islington area. We aim to fully utilize innovative web technologies whenever and wherever possible to achieve fast and efficient lettings and sales. All properties advertised with us benefit from fully interactive floor plans, Google Street View where available, Bird's eye aerial view and a state of the art web site. We provide professional, friendly, and efficient service to landlords, tenants, sellers and buyers, alike. It is our mission to offer everyone the highest level of service and to provide professionalism and personal attention at all times. "Where Next's excellent and comprehensive property management service has taken all the headaches out of my experience of buying to let. I'm barely aware of my tenants, so well do Laurence and the team manage my property." "They (Where Next) couldn't have been more helpful when it came to guiding us through the whole buying process on our first step on the property ladder." "Just a quick thanks to Laurence for helping us out so quickly with the tenancy agreement on the new place. We've settled in nicely and Laurence made that a lot easier." "Such a joy to deal with an estate agents that treat you like a human being, rather than mentally racking up the commission all the time you're talking." "Thank you so much for such honest and reliable service; the constant updates and advice were very reassuring during a very stressful period"
"Where Next let my property within a week of my first contacting them. I'm more than happy to provide an endorsement for this excellent and personal new local enterprise." "Thanks to all at Where Next for a smooth and effortless sale." "Given the state of the current market, we were extremely worried about achieving the equity on our last property, but Where Next were reassuring right from the start, and sure enough, brokered a very satisfactory deal for our asking price." "Thank God for Where Next with their local knowledge and flexible and friendly attitude." For our first 50 properties, our selling fees will be reduced to 1.00% + vat with a free EPC. If you are interested in letting your property, then fees start from as little as 8.00% + vat.